Time is just flying by! We stopped by in Portland for a little break between campsites but now we’re back at it. We had Pok Pok for the first time as well as another Thai fried chicken place and now I’m kind of obsessed with Thai sticky rice. I mean, sticky rice has always been one of my faves, but now I’m super obsessed. I think it partially has to do with the fact that it’s Dragon Boat festival right now and I’m sad that I’m not at home to make sticky rice dumplings with my mom. Anyway, it’s been kind of weird going from no internet, to internet, to no internet. I’m all confused…but I had a chance to save up some links from the times that I did have access so here are my Friday Finds! I’m a huge fan of bun cha and also this list by Bourdain regarding eating with Obama. Business + leisure = blesiure. It’s a thing! This is a horrifying story about teen girls attacking a bunny. So crazy! Scandal in the burger world. This little girl is so poised for twelve. Love it! I can’t believe this guy only got a 6 month slap on the wrist. This open statement from the victim is heartbreaking. My pal Lyndsay has a CUTE cake decorating class on Craftsy! This salad is summer on a platter. Give me ALL the oven fries! I’ve read so many books while camping (so cozy reading outdoors) and next on my list is Sweetbitter. I’m thinking I should start a camp reading list, just in case you guys are interested in what I read? It’s almost pool season…time for a new pizza pool floatie? Have a wonderful weekend friends! I’ll be outside, roasting gyoza by the fire, snuggling up to my boo. I hope you guys get outside and maybe have some gyoza too! Bleisure! That’s my kind of travel! I want to know how Sweetbitter is! 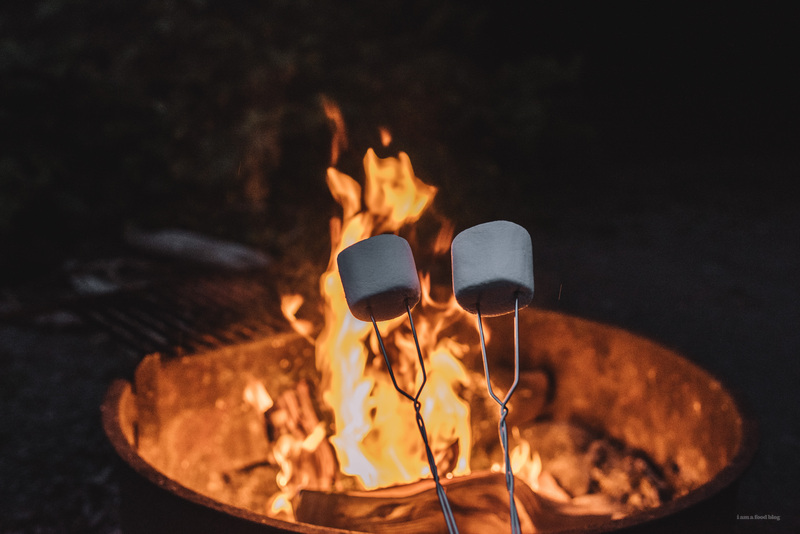 Also, I have a camping tip for you: bring rice krispie treats (or make them over the camp stove, whatever), and then pop one of those bad boys on a stick and roast it over the fire. 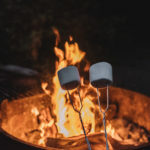 The mallow gets all charred and campfirey but the whole thing stays together. def time for a pizza floatie!! so cute. can’t wait to hear more about all your adventures!! Oh man next time I go camping this summer I am so bringing the cast iron and gyoza. That sounds like an amazing idea!! !